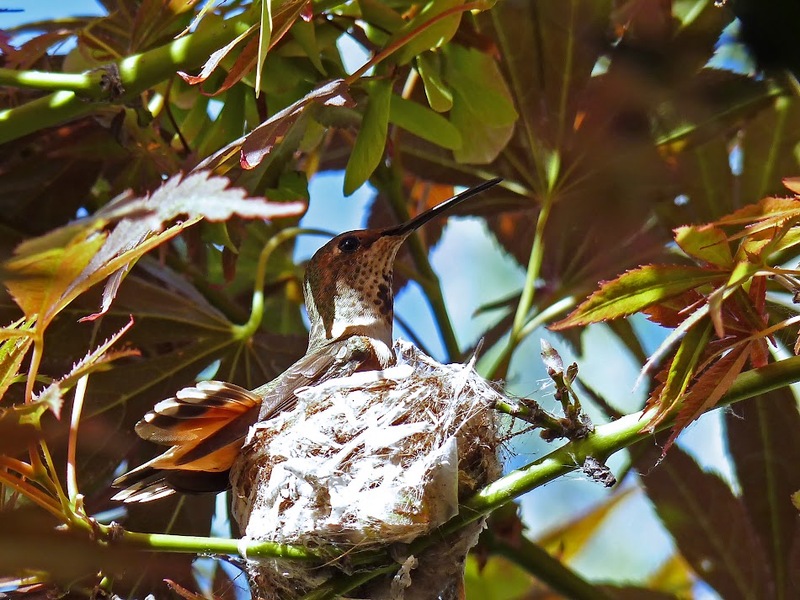 About two weeks ago, this hummingbird started to build a nest right outside of my front window! I've been looking for one all my life, and now here it is!!! I posted a few shots of her building the nest over in the Wildlife section because those were shot with my GF1. I shot these this afternoon with the FZ35. She laid her eggs a week ago, and it is now fairly easy to approach her if I move VERY slowly. The chicks should hatch in another 10 days or so. 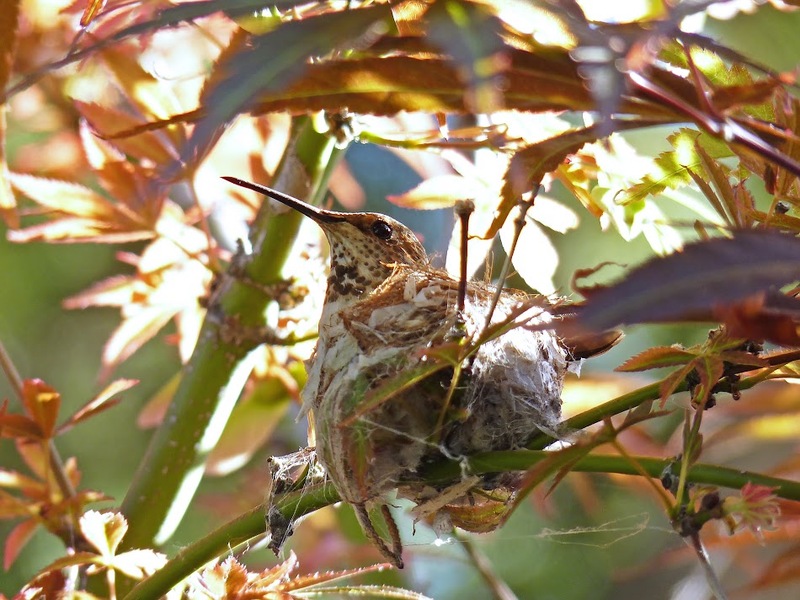 #1 The nest is made of soft plant material held together by spider webs. #3 When the sun is bright, she seems to spread her wings and tail to shade her nest. What a wonderful opportunity you have got, Saly! Please take all the care not to disturb the bird, see if you can get to a higher level so as to peep into the nest and post us the photographs of eggs, and chicks when they hatch. We look forward to frequest posts from you on this! Best of luck! Agree with Raghu!!! Unique and fantastic opportunity Yuki! We look forward, thanks for sharing. That is neat Saly, keep them coming. Raghu - I've literally waited for this moment all my life! 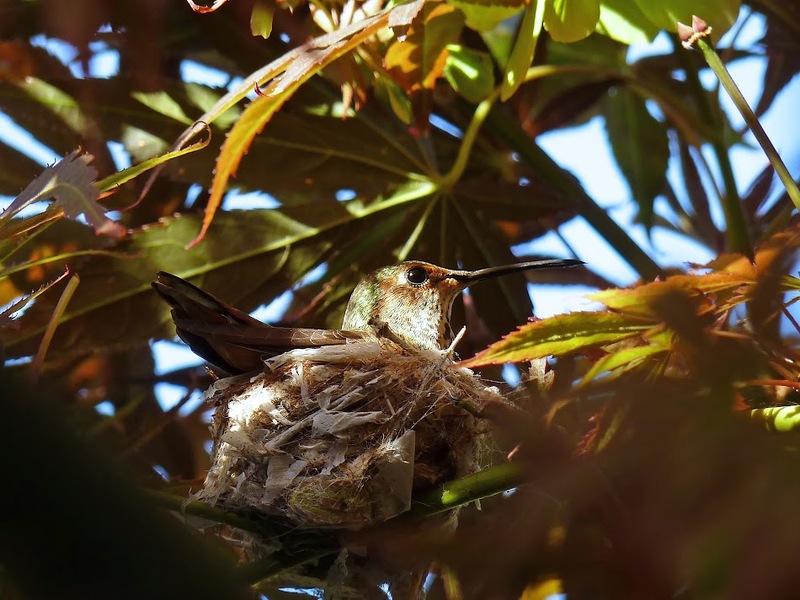 We were very cautious while she was building the nest and only shot photos through my window glass. Now that she has eggs, I can approach much easier as long as I move slow. The nest is just tall enough so I can't quite look inside - I'm going to try with a ladder this week. But I should be able to see the babies and feeding time. Eggs should hatch in 7 to 10 days. These are magical moments Yuki!! Wow Saly! What an opportunity that few get to witness! Congratulations, I can certainly understand your excitement! The photos are great; keep them coming! Thanks Carol! I'm going to try to get a shot of the eggs this weekend. The nest is about 7 feet off the ground, so I'm hoping my ladder is tall enough.